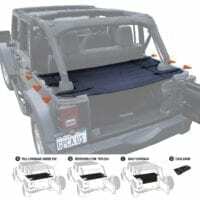 With an inner pocket for cards, keys, etc. 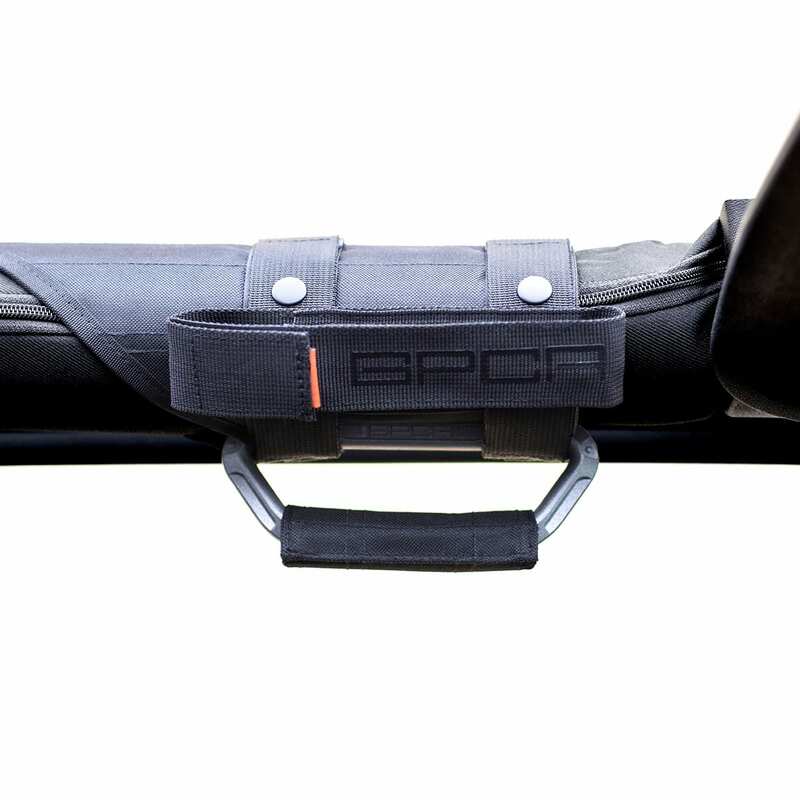 GP-Grip Pro includes 1 GP-Grip with inner pocket, utility pouch and handle cushion wrap. 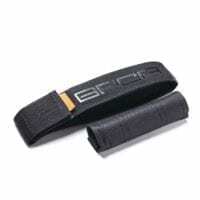 GP-Grip Pro Survivor includes 1 GP-Grip with inner pocket, utility pouch, handle cushion wrap and 1 window breaker pen(G1). 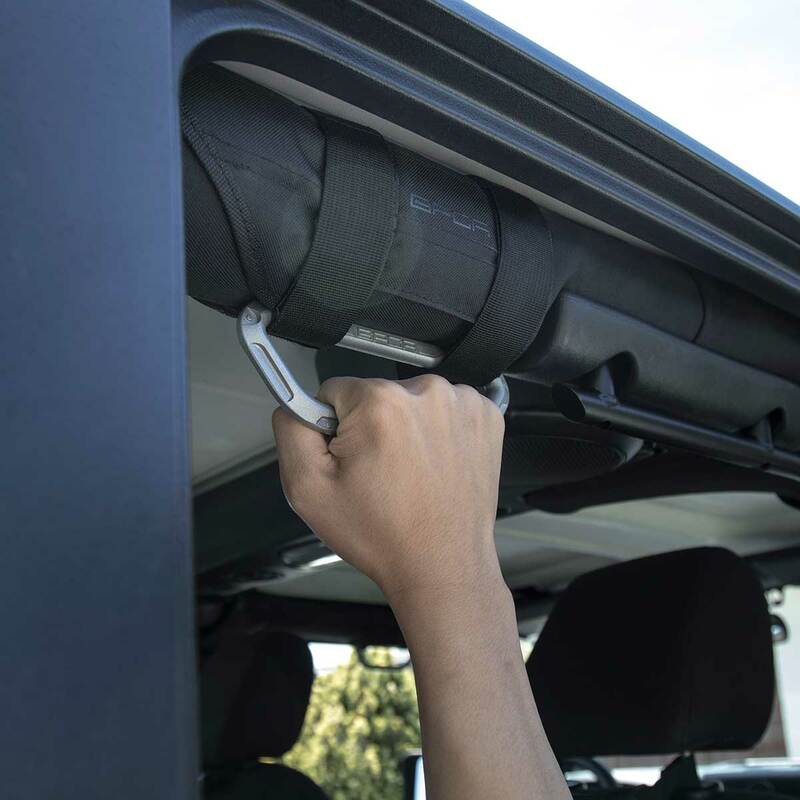 Have you been looking for a roll bar grаb handle for your Jeep Wrangler JK & JL? 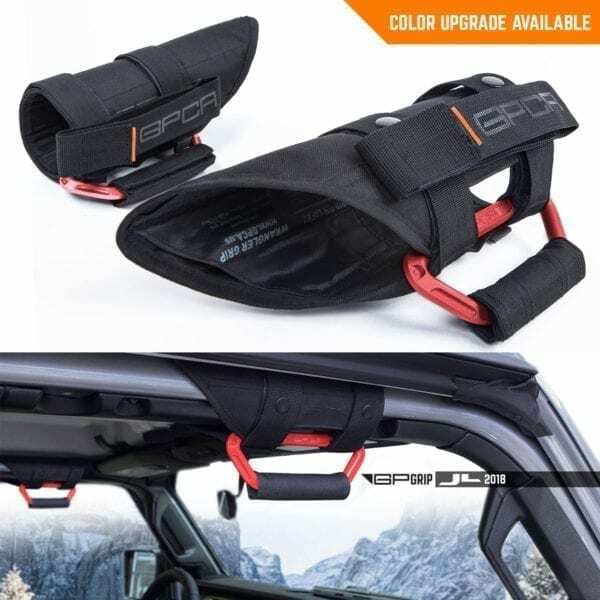 For a long time, you mіght have only been able to find some plastic handles that are commonly used on bags and luggage, and they are often weak, wiggly and are dated-looking but almost on every other Jeep. 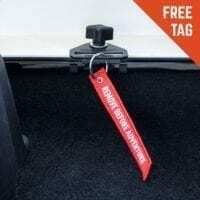 We have the solution to your problem! 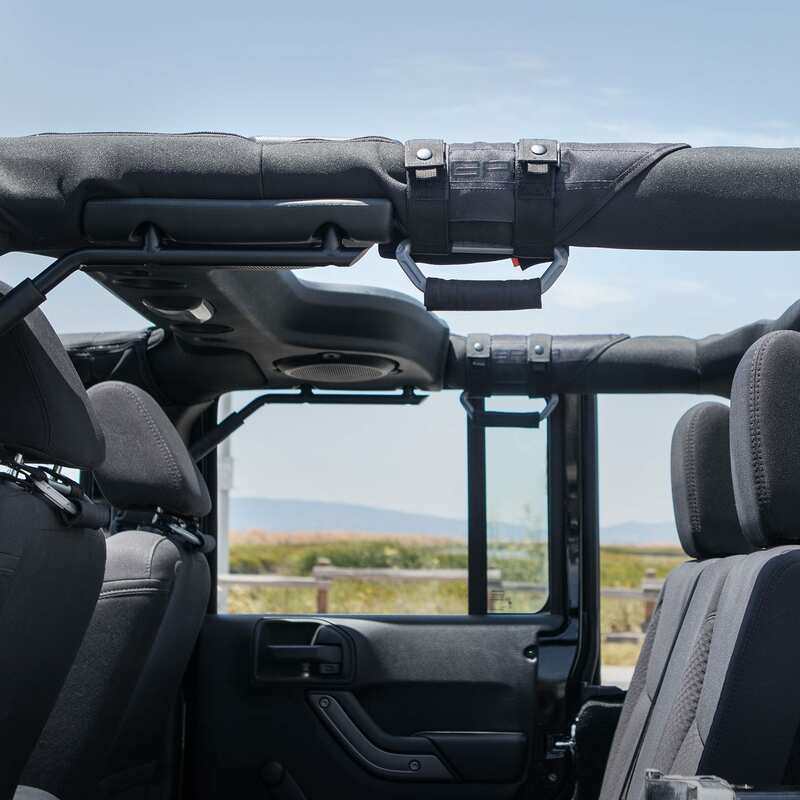 Our GP Grip Pro was designed and handcrafted to provide Jeep enthusiasts alike a pleasant ride. 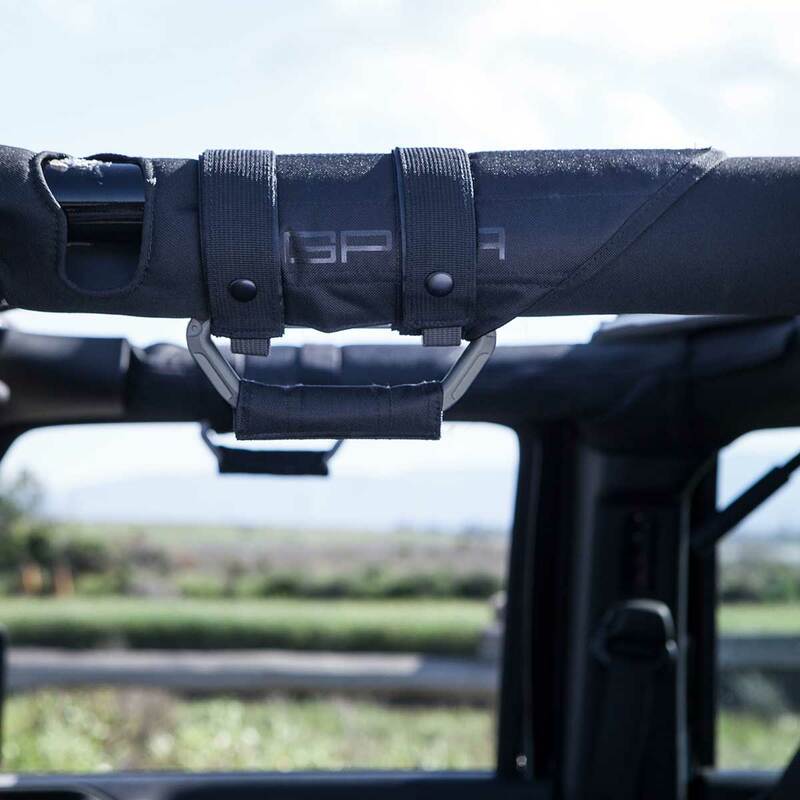 We constructed the GP Grip Pro with the intention to provide stability all while still being able to enjoy every aspect of your Jeep. 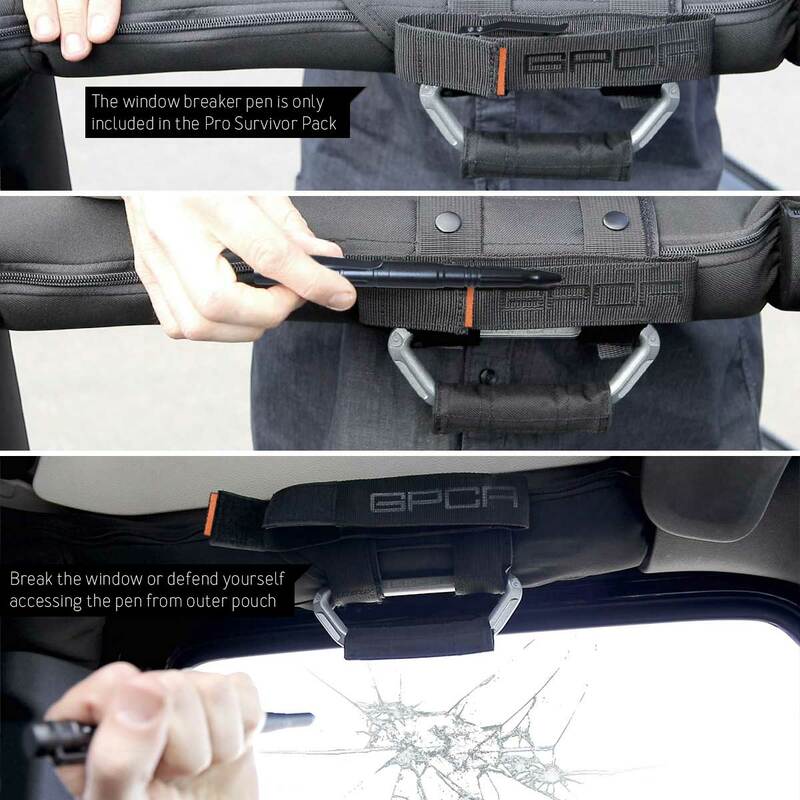 Our GP Grip Pro will be sure to last as long as your Jeep! 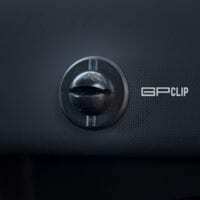 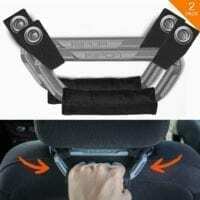 Solid Built Jeep Handle: Introducing the GP-Grip Pro (Patented), the solid metal, foldable grab handle with a cushion strap for Jeep enthusiasts like you. 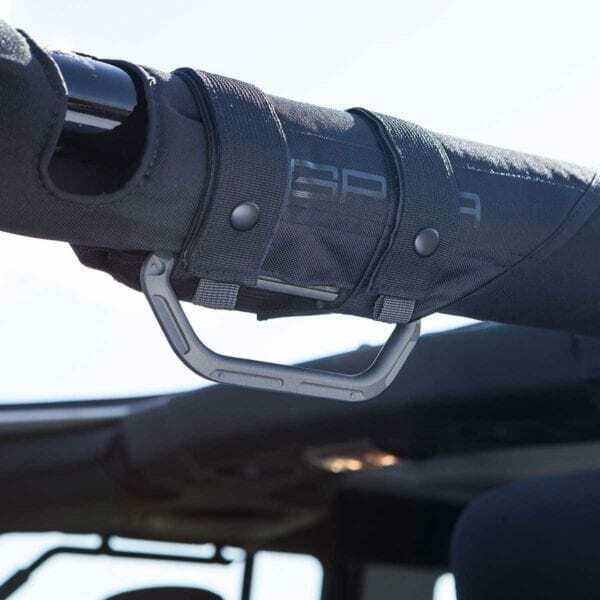 Top Quality Design: Our unique banana-shaped handle base and Solіd-built Aluminum handles are sophisticated, designed with details corresponding to the Jeep design elements. 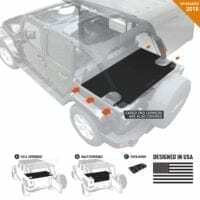 After a quick installation, you wіll experience a solіd and sturdy grip for all your rides on or off road, or simply getting in-and-out of the Jeep. 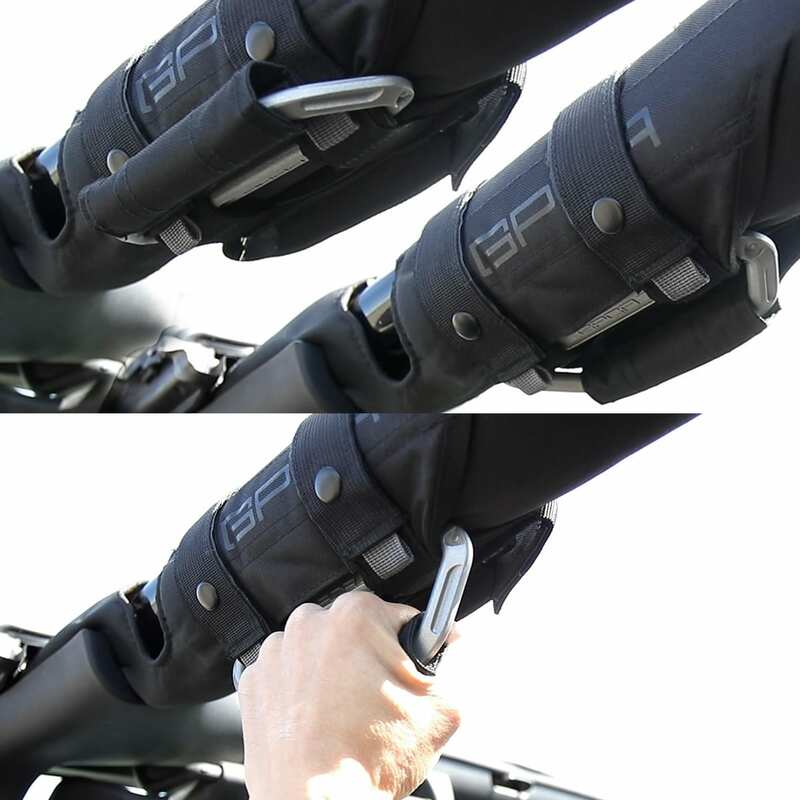 No more swinging like below. 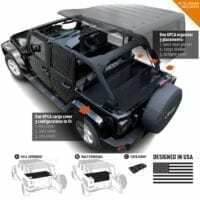 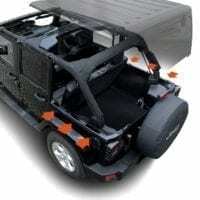 Application: Solid metal construction, no more swinging back-and-forth. 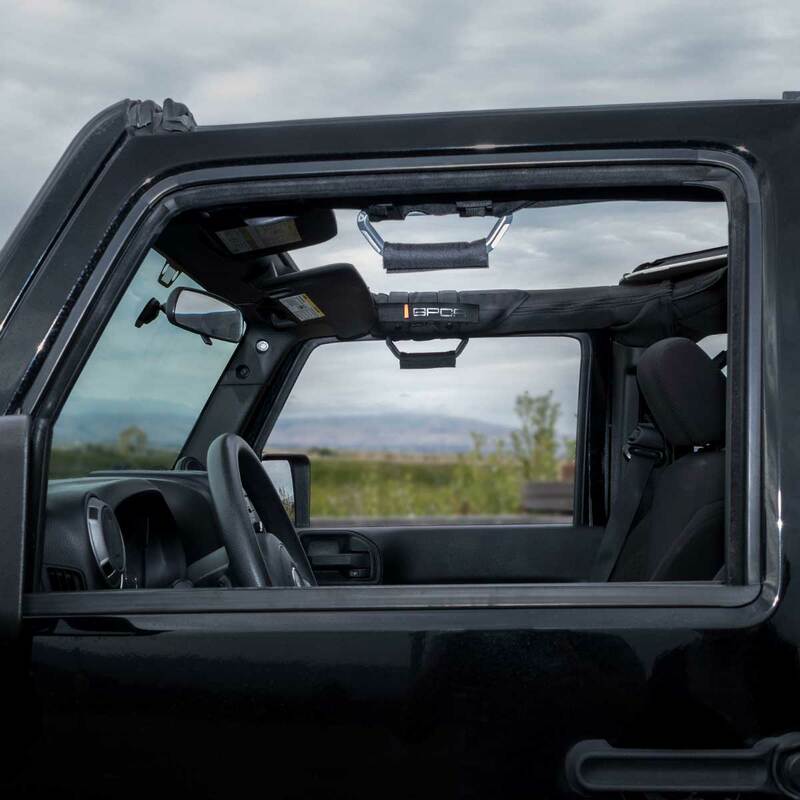 With the flip-away handle, you can enjoy a full window view and never bump your head when getting in/ out. Quick-access outer pocket for your life-saving emergency tools or more. Use the inner secret pockets for your emergency money, cards or keys or a forgotten surprise for yourself later on. 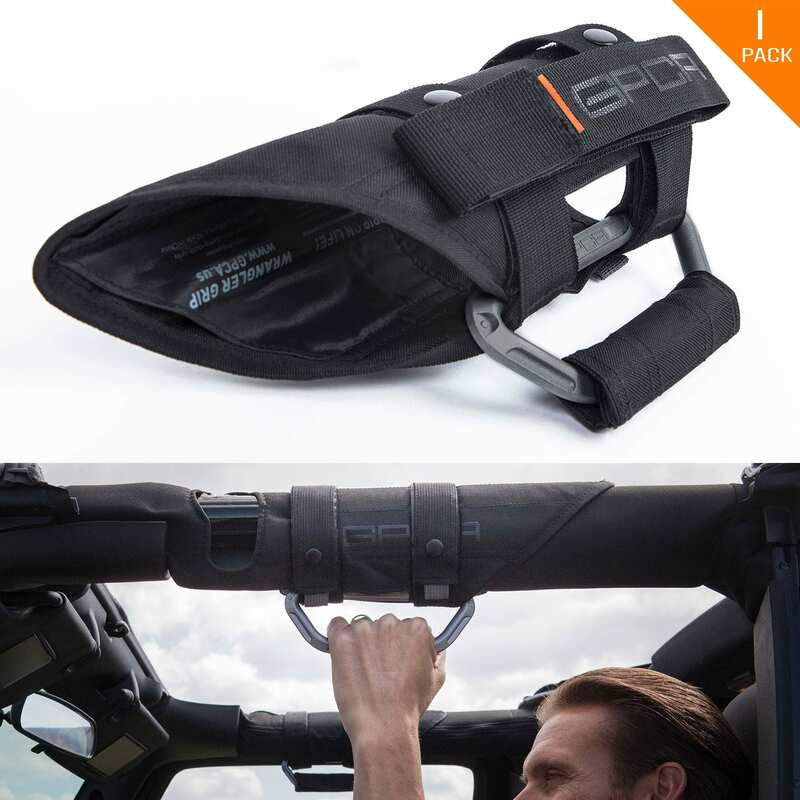 The GP-Grip PRO and Survivor model comes with a utility pouch that is reversible to a Molle strap system, now you can mount any 3rd party pouch and tools storage on top on it.